Just 2 minutes’ using it morning and night leaves the skin looking naturally beautiful with a healthy-looking glow. In just 3 days, you’ll feel the confidence that comes from having naturally beautiful, youthful-looking skin. 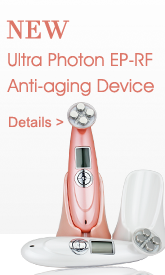 up to 6,000 pulsations per minute are channeled through soft silicone touch-points to gently remove dead skin cells, as well as unclog pores of 99.5% of dirt and oil, and 98.5% of makeup residue. 1200 smooth and soft silicone contacts for comprehensive cleaning. 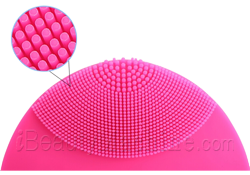 The silicone brush is nonabrasive enough for daily use. 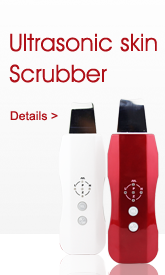 It is also nonporous to resist bacteria buildup, making it up to 35x more hygienic than standard sonic-cleansing brushes. 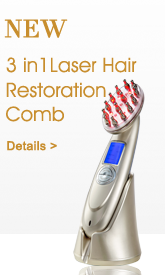 It is fully waterproof, lasts up to 450 uses per full charge and requires no replacement brushes. Just 2 minutes’ using it morning and night leaves the skin looking naturally beautiful with a healthy-looking glow, while lessening the appearance of fine lines and wrinkles. Simply apply your cleanser, wet the brush and turn it on. In just 3 days, you’ll feel the confidence that comes from having naturally beautiful, youthful-looking skin. The brush takes a revolutionary approach to skincare with the combination of transdermal sonic pulsations with silicone touch-points. 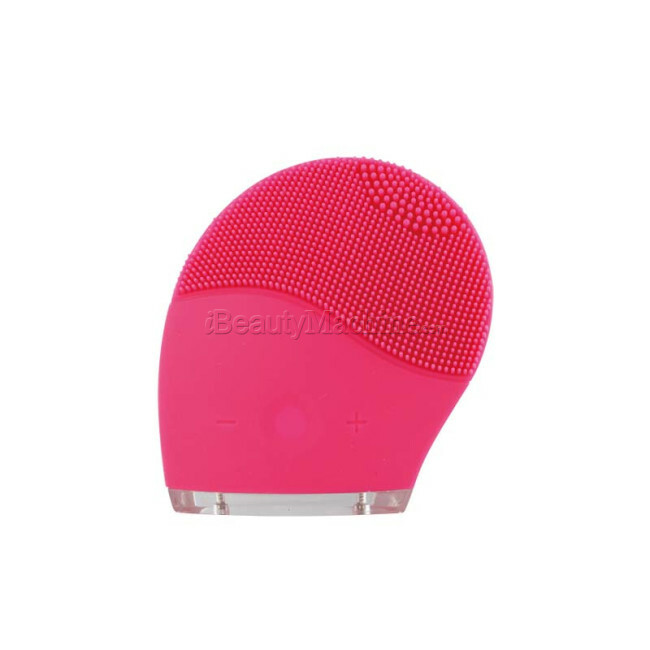 Applied across the dermal surface, these sonic pulsations help to instantly refresh the look and feel of the skin, while the nonabrasive, rounded silicone touch-points glide across the face for ultra-gentle cleansing that feel so good, it’s like getting a daily facial in the comfort of home. All skin problems are originated from not fully cleasing your face. 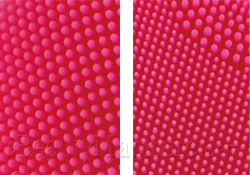 If you are bothered by the above skin problems, then choose this sonic brush. 1. How often can the sonic brush be used? It is gentle enough to be used twice daily. 2. 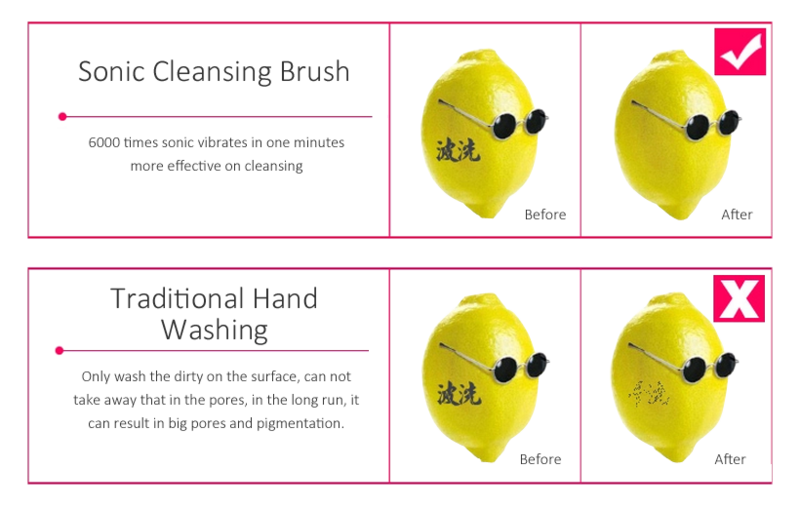 Which facial cleansers can be used with sonic brush? Avoid using clay-based, silicone-based or grainy cleansers, exfoliators or scrubs, as they may harm your device’s soft silicone touch points. 3. 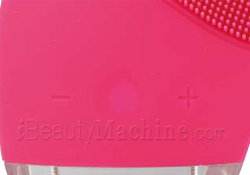 Can the sonic brush replace makeup removers? We suggest you remove makeup before using your device. 4. Can I use the system during pregnancy? While sonic brush is safe for use on your face during pregnancy, we suggest that you consult your obstetrician if you have specific concerns. Do not use your device on any area other than the face while pregnant. 5. Is the sonic brush for use only on the face? 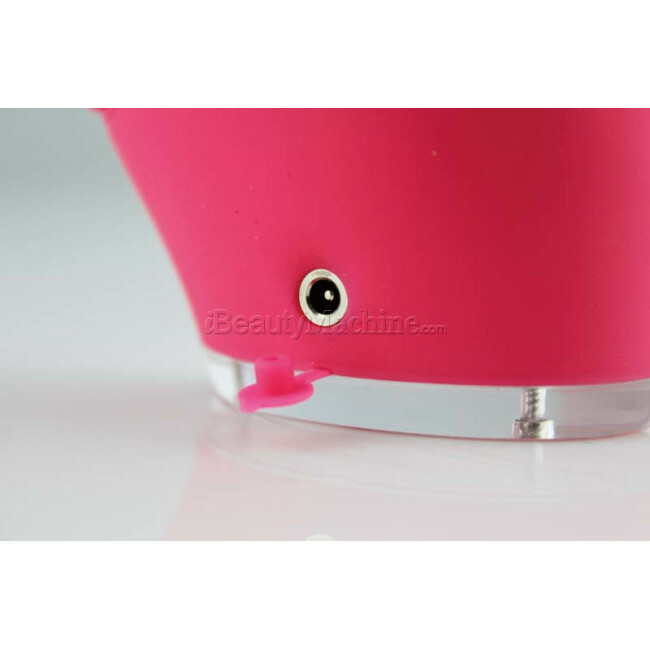 It can be used on both face and body, as you can see, there are two sides, the small silicone touch-points are for face use, and the other side is for body use. 6. Can I share my device with other people? For reasons of hygiene, we suggest that you avoid sharing your device with anyone else, especially if you or they suffer from a skin condition. 7. Can I use the system in the shower or bathtub? 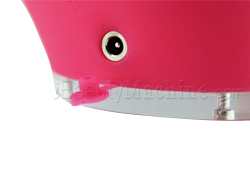 Yes, the device is fully waterproof to a depth of 1 meter. 8. How often do I need to replace my device’s silicone brush surfaces? The silicone brush surfaces of a product are designed to never need replacing, as long as they are properly maintained. Please refer to the User Manual for full details on how to maximize your device’s life span. 9. How do I clean my device? Wash the brush surfaces with soap and water, rinse with clean water and pat dry with a lint-free cloth or towel. *After figuring out how to use this product i loved it!!! I will continue to use it every day!!! *Amazing I'm in love with it. 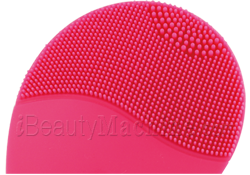 *Mighty impressed ...it is difficult to imagine how a little silicone device can improve your skin. But I do believe technology is advancing & I guess than unless I/we are technicians I guess we will never fully understand... But after first use I could clearly see how nice my skin looked after ... Nice glow looked like pores were smaller & cleaner, skin looked noticeably smoother & rather radiant! I guess the T- sonic vibrations do actually do something. I didn't really want to spend so much on a beauty item but recently I have stepped up my facial regime ( being 34, oily skin prone to blemishes & cystic acne on jawline ) I would love to have smooth flawless skin ... Quite impressed at how lovely my skin looked & felt immediately after use, used it 2 hours ago & my skin still looks naturally radiant . Would definitely recommend. 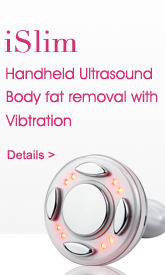 *I am TRULY impressed with this product. FYI: I have VERY sensitive skin, most skincare products break me out, can't use oils. I do NOT recommend using this everyday if you are sensitive skinned like me. However, if I use it only 2-3 times a week, the results are great! My skin is like a teenagers, very smooth and soft and less visible pores. I can't use any cleansers, so I just use this with water, followed by my routine. My skin is way more uniform. Getting my face to a supreme clean! *More than 100USD for another brand, very expensive for such a small brush, so i decided to give this a try and this is day 7 I am very pleased when you're done washing your face, just like your skin has been through a spa treatment. I have very oily combination skin so anything that helps is awesome.